Both plants, mandukaparni (described below) and aindri are called brahmi. But the original brahmi is an ancient Ayurvedic herb which has been extinct for centuries. When used together in a balanced way, mandukaparni (gotu kola) and aindri (bacopa monnieri) give nearly the same results as the extinct brahmi once did. According the the Sanskrit texts, this ancient brahmi had the ability to make the mind so powerful and strong in its connection to the light of the soul that it could access any knowledge or wisdom. The name brahmi stems from the Sanskrit term, brahman, which is a complete knowledge and experience of the unity of life as a whole. Small minds can comprehend small fragments of the totality of brahman, but a fully connected mind experiences the big picture of life even when dealing with its mundane parts. Brahman is the understanding of the unity of life, that the whole universe is my own creation and that it is just my consciousness which is displayed as so many forms and phenomena. With this experience of the ultimate reality of life, we not only enjoy freedom and peace, but are able to know the truth in any situation. This is how the ancient rishis (seers) were able to cognize so many practical gems of knowledge without the help of modern science. But to have this ability, the physical brain has to be functioning at it’s optimal capacity. The truth of life is always available but, to be conscious of it, the brain must be fully connected to the light of the soul. The role of the ancient plant, brahmi, was to nourish the physical and vibrational brain so that it could fully reflect the light of the soul in our awareness. Vaidya Mishra’s family lineage of Ayurvedic practitioners has used the combination of mandukaparni (gotu kola) and aindri (bacopa) as a substitute for brahmi for this purpose for centuries. Whenever you see the name brahmi in Vaidya Mishra’s formulations, it refers to the balanced combination of these two herbs, aindri and mandukaparni. 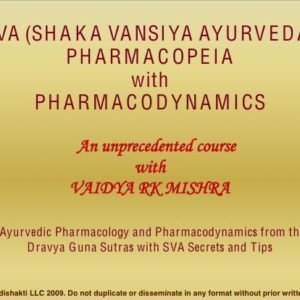 This 27 minute audio lecture by Vaidya Mishra focuses on mandukaparni (gotu kola), whose Latin name is centella asiatica. You can also find a second audio lecture by Vaidya Mishra which details the properties of aindri (bacopa), on another page of this website. The name mandukaparni has two meanings. Manduka means “frog” in Sanskrit and parni means “leaf.” This an example of the nama rupa (name and form) classification of Ayurvedic herbology because the leaf of mandukaparni looks like a frog’s foot. The second meaning comes from the first person to understand the value of mandukaparni as a divya aushadhi (divine herb). Manduki Rishi, of ancient times, noticed that wild animals that drank from a creek where mandukaparni was growing became calmer, less prone to fighting, and actually started to be attracted to his discourses on brahman. In honor of his discovery, this plant was named mandukaparni. Mandukaparni is a more powerful herb than aindri (bacopa). It can cause allergic dermatitis in some people so it must be used with caution. For this reason, gotu kola (mandukaparni) is banned in Canada. 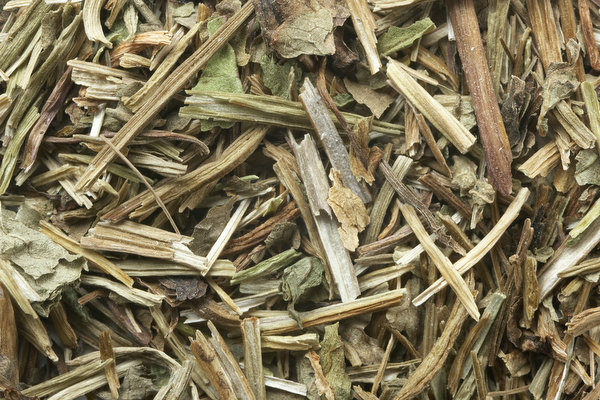 To minimize this problem, it must be used in combination with other herbs and processed in a way to reduce its reactive properties. If you are ever using mandukaparni alone, be sure to do a small test on the person to be sure it will not cause allergic dermatitis, which could even trigger something as severe as anaphylactic shock. The safest way to use this herb is in Vaidya Mishra’s transdermal cream and herbal memory nectar drops. In these two preparations, the physical properties of the plant have been removed and only the subtlest essence remains. So far, Vaidya Mishra has not seen any allergic reaction to either of these products. The physical properties of mandukaparni described in the Sanskrit sutra which Vaidya Mishra translates here are the following: hima (cooling), sara (free flowing), tikta (bitter), laghu (light), shitala (cold potency), kashaya (astringent), madhu (sweet), and swadupaka (alkaline post-digestive effect). It is mainly the tikta rasa (bitter taste) which causes problems for people today because all bitter tastes stimulate the liver to dump toxins that it has been holding into the intestines. Most people today have lots of toxins in the liver, and using mandukaparni in crude form can squeeze the liver, dump an overload of toxins into the gut, and result in a reabsorption of those toxins by the colon into the bloodstream. The main prabhava (special property) of mandukaparni is medhya (increasing the power of the mind). Like aindri, it does this by enhancing the three basic components of the mind (dhi, driti and smriti) independently, and by improving their interaction with each other. In addition to its ability to improve mental function like aindri does, the Ayurvedic text, Bhava Prakash, gives special emphasis to the smriti prada quality of mandukaparni. Smriti is recall, or memory, and is one of the three fundamental functions of mind (dhi, driti and smriti). Modern research has shown that gotu kola improves senile dementia. Another important prabhava of mandukaparni is its ayushya property. Ayu means “lifespan” in Sanskrit and ayushya means “giving a long, healthy, happy life.” In other words, it has very strong anti-aging properties. According to Ayurveda, mandukaparni is the best herb for reversing aging. Modern research has confirmed this, and dermatologists have discovered that it enhances collagen synthesis which gives the skin strength and elasticity and prevents wrinkles. For this reason, mandukaparni (gotu kola) is the most important ingredient in Lalita’s Age Defying Cream. More than just reducing wrinkles, the medhya quality of mandukaparni helps keep the brain youthful. Since the brain controls the whole body, this prevents aging overall. See a discussion on pragyaparad and toxins in the aindri course description. Mandukaparni works in a similar way as aindri to strengthen the brain and prevent an overproduction of cortisol and other toxins in the body, which lead to healthier skin and a healthier body overall. In addition to the ayushya (anti-aging) property described by the ancient Bhava Prakash text, mandukaparni is also classified as a rasayana in the same text. Charak Samhita defines rasayana in the following way: yat jara vyadhi nashanam tad rasayanam (anything which reverses aging and removes imbalances is a rasayana). This gives double emphasis on the anti-aging properties of mandukaparni. The Sanskrit sutras (verses) describe mandukaparni (gotu kola) as swarya (good for the voice) as well as being helpful for kushta (skin problems), pandu (jaundice), meha (when useful substances come out through the urine), asra (blood problems), kas (chronic cough), visha (all three kinds of toxins) and jwara (fever). Mandukaparni should be used with another herb like vacha (calamus root) as a yogavahi (carrier). Because mandukaparni is not tikshna (sharp) it does not penetrate deeply into the body, especially if the channels (shrotas and nadis) are clogged, as is common in modern life. It needs the help of a yogavahi to reach deep into the brain and other tissues. In this 27 minute audio lecture, you will learn about mandukaparni (gotu kola) directly from the Sanskrit verses with Vaidya Mishra. You will study in detail the properties outlined above and you will learn more of the contraindications of this powerful herb. In most cases the side-effects of this herb come from using an ancient principle in a partial (allopathic) way. Because mandukaparni stimulates the liver, it should be used with extreme care in crude form to prevent a detox crisis. Mandukaparni is usually listed in our products as gotu kola. It is also present anywhere you find the name brahmi in Vaidya Mishra’s formulations. Brahmi in our products means the balanced combination of aindri (bacopa) and mandukaparni (gotu kola). Delivers the combination of aindri and mandukaparni directly to the brain without having to go through the digestive or metabolic systems, which are often weak or corrupt in modern society. Can get corrupted by poor digestion or a weak liver, proving it to be ineffective. Contains brahmi as a secondary ingredient. 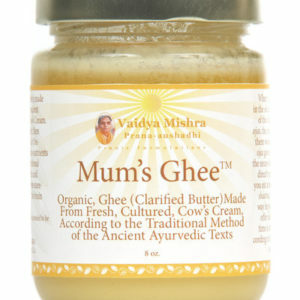 Helps balance skin and hair by reducing toxins in the blood caused by pragyaparad, as described above.